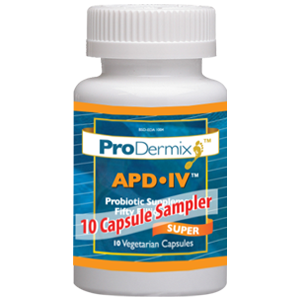 APD-I and APD-IV are high potency-probiotic blends of species that support and strengthen the epidermis (outer skin), maintaining them soft, smooth, and fungus resistant. A UCLA study in February of 2013 (reported in the Journal of Investigative Dermatology) concluded that probiotics can relieve acne problems. The study did not specify how much relief or how quick one might see relief. The degree of relief is also dependent on the severity of the acne in any particular person. Since there are many types of acne (i.e. hormonal acne, cystic acne etc.) the amount of probiotic consumption varies. 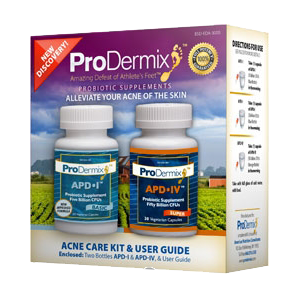 We suggest a sixty day regimen of our acne care kit and maintenance afterwards, consuming APD-I one or two capsules daily to keep the system functioning with healthy bacteria. 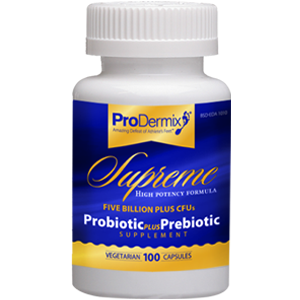 This probiotic formula contains four hardy strains of probiotics including Lactobacillus acidophilus that have a profound effect on the immune system. They are preferable for maintenance after successfully using the beginner’s kit. 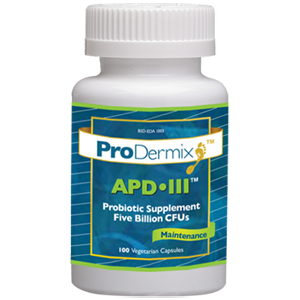 APD III soothes and relieves candida (yeast) fungus infections related to dandruff, jock itch, and athlete’s foot fungus. This formula is a high-potency probiotic supplement formulated to support your oral health, gastrointestinal tract, and the immune system of your children aged three years and older. Supportive for oral health: Your intestinal tract begins in the mouth. Many active species of damaging bacteria inhabit the mouth and travel down to your stomach and disrupt the healthy function of your digestive system. 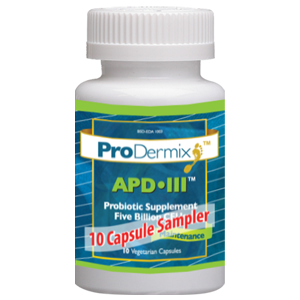 ProDermix® APD-30 Chewable Probiotics provides Lactobacillus species that normally reside in the oral cavity and help antagonize various bacteria and pathogens, especially oral pathogens associated with cavities and gingivitis. In addition, they populate your healthy microflora with active probiotic species from your mouth and then support your digestion, energy and immune system. *Clinical trials have shown that Lactobacillus Salivarius and Lactobacilus Plantarum significantly reduces oral bacteria, plaque and gingivitis. Lactobacillus Rhamnosus and Lactobacillus Paracasei have performed similar functions in preliminary tests. Additionally Lactobacillus Rhamnosus and Lactobacillus Paracasei have shown that they lower the risk of atopic dermatitis and eczema in early childhood. 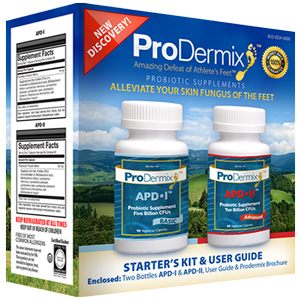 All of the above strains are in the ProDermix® APD-30 blend. Chewables for children: The maturity of the immune system is normally dependent upon development of a healthy balance of bacterial microorganisms in the digestive tract. Children in their early years of childhood need a lot of support to fully develop their immune system which relies heavily on the function of their probiotic flora. The healthy balance of their good bacteria can easily be disturbed by infectious microbes carried by children with contagious ailments in playgroup and daycare center environments. Allergens in foods, chemical toxins, and overuse of antibiotics also disrupt the healthy balance of bacteria. 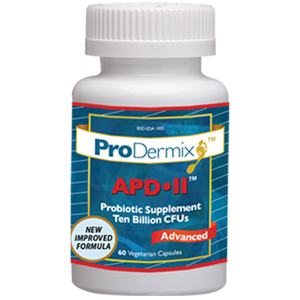 ProDermix® APD-30 Chewable Probiotics contains select probiotics to maintain a normal balance of healthful microorganisms of microflora to support the probiotics of the oral cavity, digestive tract and healthy immune system function. 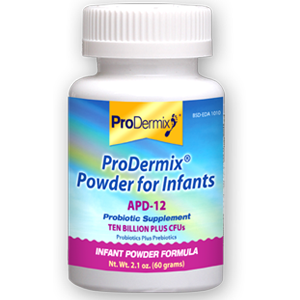 Chewables for Adults and Children: `ProDermix® APD-30 Chewable Probiotics can be used on a daily basis by children over the age of two and is particularly suitable for children with celiac disease (“leaky gut”), food allergies and eczema. 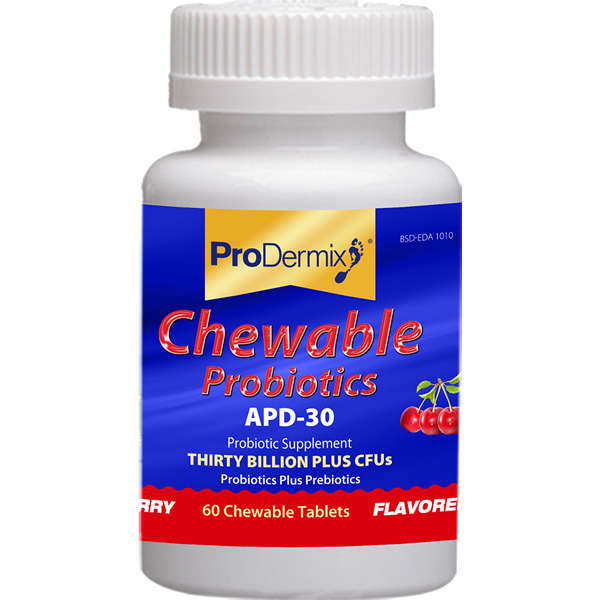 ProDermix® APD-30 Chewable Probiotics is also suitable for adults who may prefer a chewable tablet. 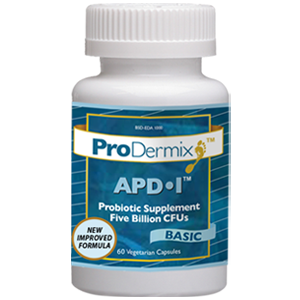 Adults and children, who may have difficulty swallowing capsules, can benefit from ProDermix® APD-30 Chewable Probiotics to enhance their immune system and boost their energy. 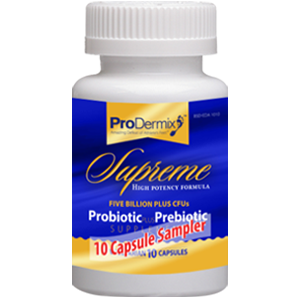 This probiotic formula contains 4 highly potent strains of probiotics. 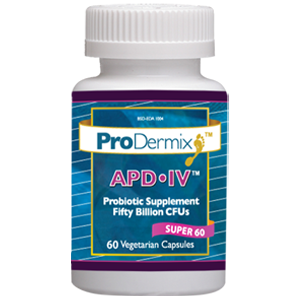 It supports good intestinal flora (healthy bacteria) digestive health, skin health and anti-yeast support. 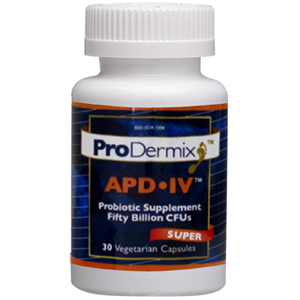 This formula is great for probiotic maintenance. More Potent than APD III!